Borneo is the 3rd largest island on earth. The island is shared by 3 countries Malaysia, the tiny nation of Brunei, and Indonesia. The island’s interior is one of the wildest places left on the planet. Sadly though Borneo forests are being destroyed faster than any other on the planet. Millions, literally millions of acres of primal jungle is intentionally burned every year to make space for illegal palm oil plantations. It’s sickening to fly over hundreds of miles of land to only see perfect rows of palm trees. 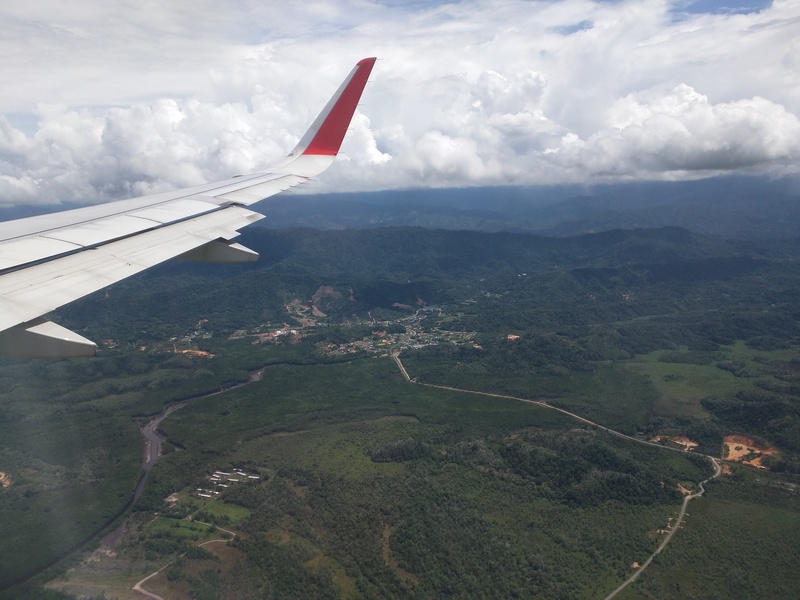 Still, there is hope, our trip to Borneo proved there is still lots of nature to experience. Beyond the clouds a lost world exists, but for how much longer? It really made us question the true cost of cheap palm oil. 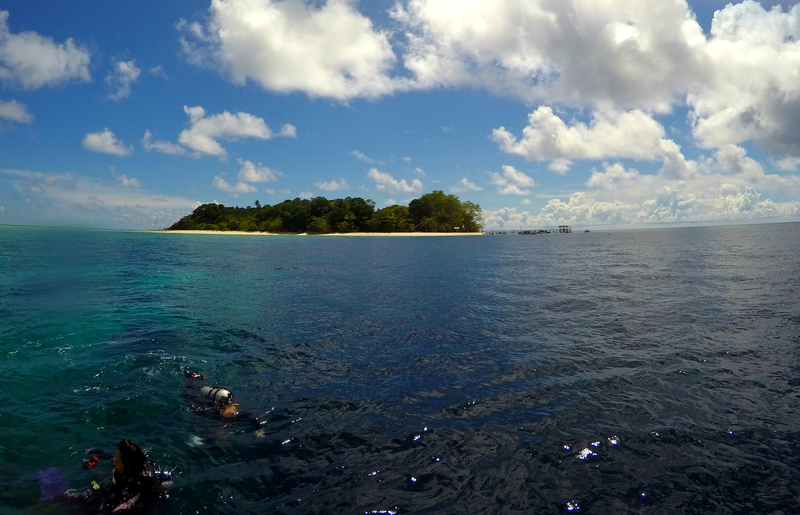 First up, a diver’s pilgrimage to Mabul and Sipadan Islands. Once you’re on Borneo, it takes 2 days to get Mabul, and another hour to get to Sipadan, but it is worth it. Mabul island is an hour by boat from the closest port on Borneo, Semporna. Semporna is a divey town and is only there because of its close proximity to Sipadan. The one redeeming factor about the town is the cheap live seafood restaurants. 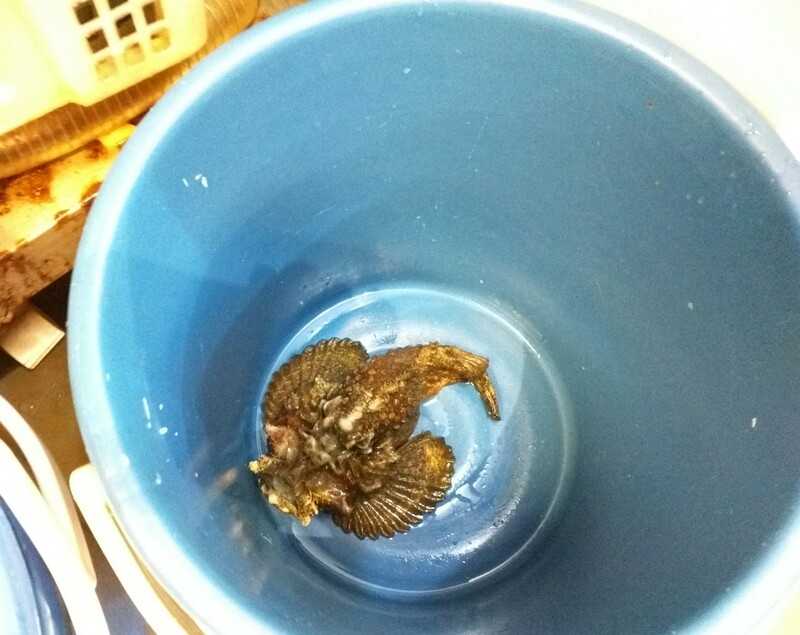 We even got the chance to eat Stonefish which is super poisonous when its alive but you are able to eat it after its cooked and it is delicious. Mabul is paradise, ringed by picture perfect beaches and surrounded by warm tropical coral seas, you literally cannot ask for more. If you are a diver and have a chance, do not miss diving a couple days here. 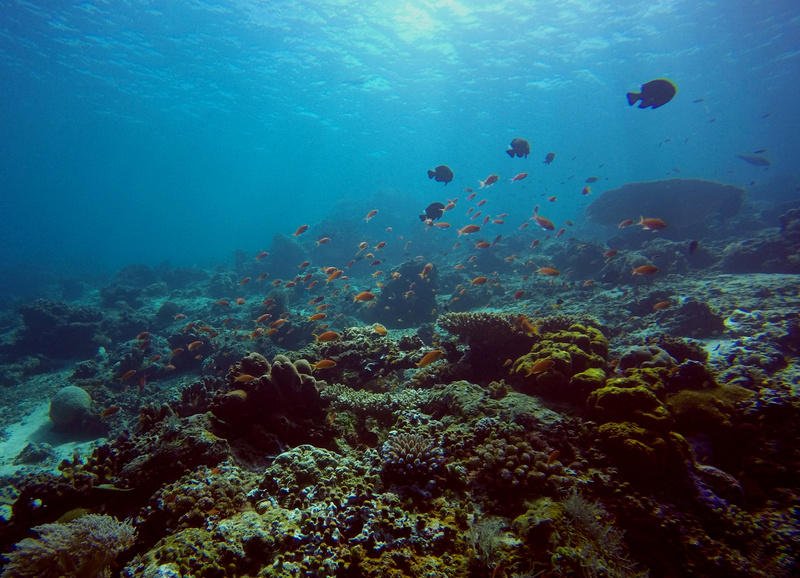 Overall Mabul diving was not as good as Komodo in Indonesia, but it was still great. But staying on the island was much more comfortable than living on a dive boat in Komodo. The diving on our day in Sipadan however, was exceptional. 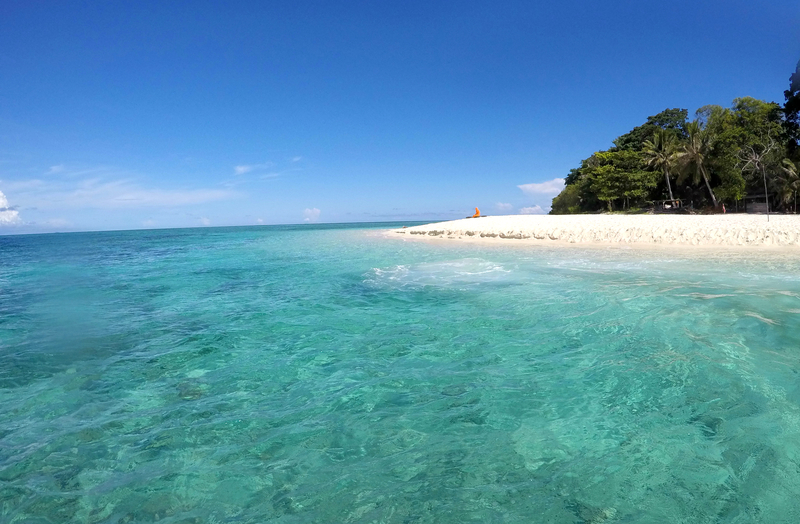 Sipadan Island is unlike any other in Malaysia. Protected for over 25 years as a nature preserve, this tiny volcanic island sits in thousands of feet of water and attracts rare and weird creatures from all over the ocean. In between dives, you get to spend an hour relaxing on the beach, paradise! 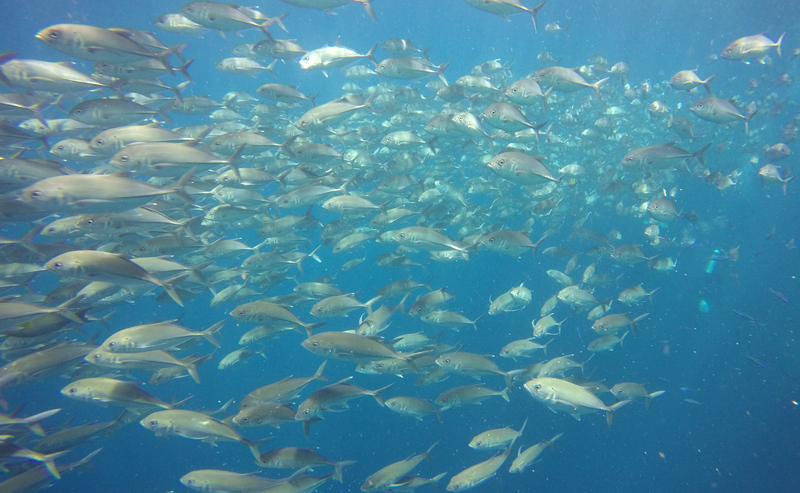 The government only allows 120 divers a day access to Sipadan and the protection has really payed off, giant walls of perfect corals, massive schools of jacks and batfish hang in the shallows and killers lurk below. 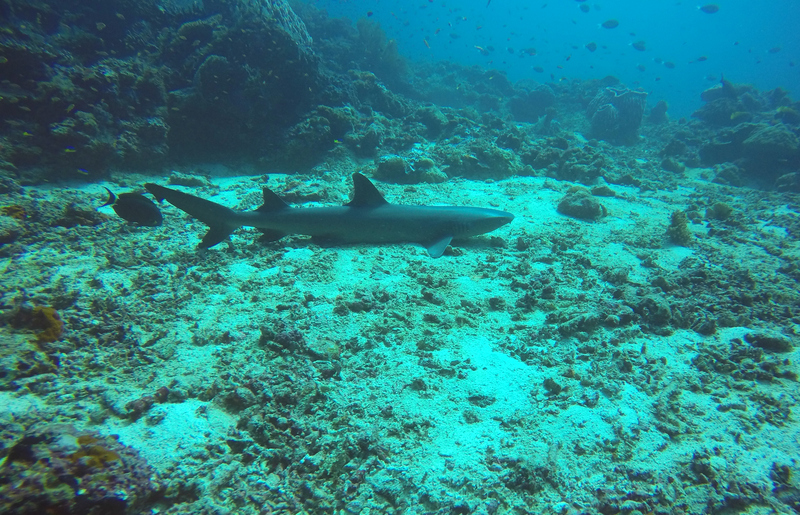 On one dive alone we saw probably 20 different grey and white tip sharks, a bunch of barracuda and an endangered scalloped hammerhead! Don’t just take our word for it, CNN Travel voted Sipadan’s Barracuda Point the best dive site in the world last year. Leaving Mabul, we headed back to the mainland and trekked north to spend a couple nights in a jungle bungalow. In a small travel SNAFU, we hitchhiked the rest of the way to Sepliok in the back of a palm oil plantation truck. These guys were loving it! Borneo’s jungles feature thousands of exotic creatures, but by far the most famous are the only great apes outside of Africa. Orang Utans (yes it is two words, malay for wild man of the forest) number about 40,000 on Borneo, and this is the only place other than Sumatra in the world they live. 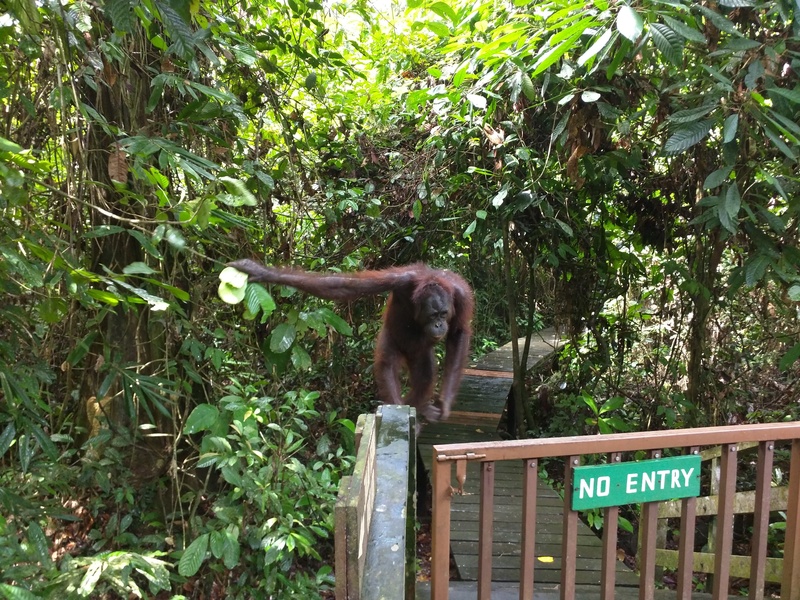 We visited the Orang Utan sanctuary to learn more about these special creatures. Orangs spend their first 8 – 9 years with their mothers, and orphaned orangs younger than this will die if left on their own. 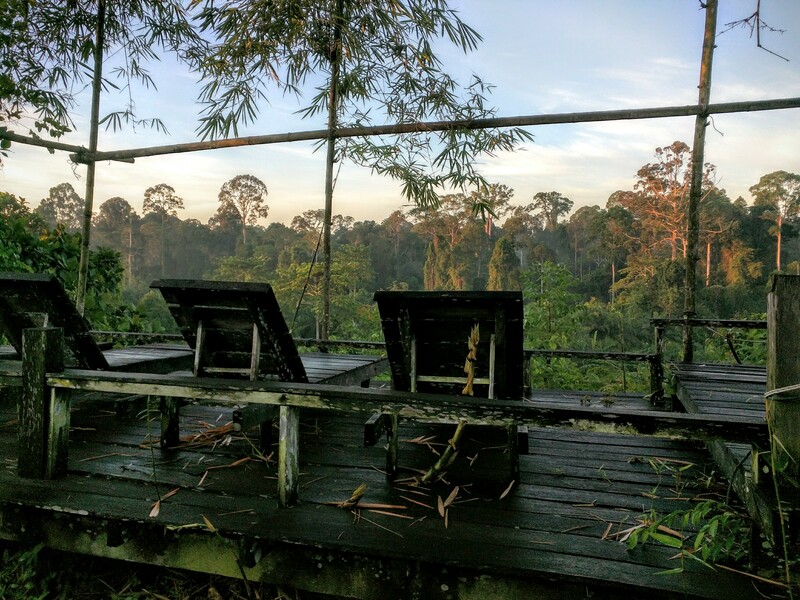 The sanctuary takes in Orangs from across Borneo, found by loggers and villagers. They raise them in the semi-wild park, train them in Orang life skills and try to release them. With a 75% success rate, they’ve been able to save and rehabilitate over 800 Orangs! Visiting on Dan’s mom’s birthday, we decided to adopt an Orang in her honor, here is a video of our new buddy, Gelison! On recommendation from a fellow traveler, one night we booked a night trek through the rainforest. We started at a visitors center on the edge of the park but beyond the gates was wild jungle. 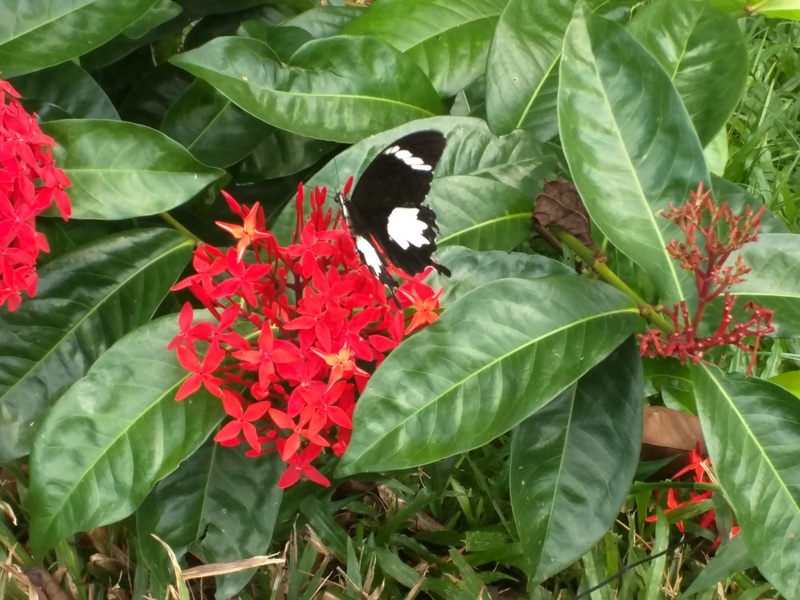 For two hours we trekked through paths looking for giant red flying squirrels (which we saw, but not flying), spectacular sleeping birds, huge jungle bugs and other rare nocturnal creatures. We were so lucky, we were even able to spot an elusive Slow Loris. Slow Loris’s are really exceptional monkeys, they have huge eyes, and yes they move very slowly. Why? They are protected from predators because they cover their bodies in poisonous sap that makes them inedible, what a sweet adaptation! By far the biggest excitement of our entire trip happened outside of the bathroom at the visitor center. As we gathered for our trek “WHAP!” a giant black snake fell from the roof and landed right next to one of the other trekkers. Our ranger immediately started yelling “GET AWAY!! !” as he ran backwards. 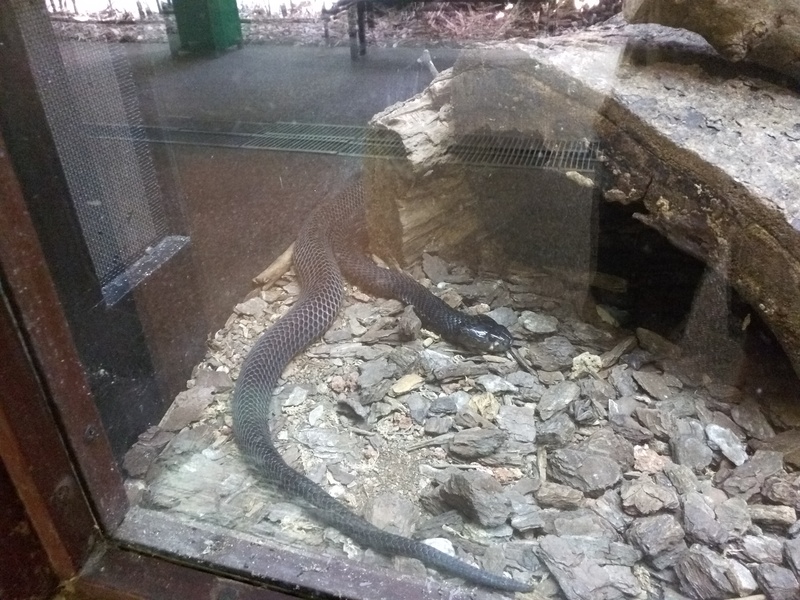 After the snake slithered off into the nearest jungle without incident, the guide explained that we had just encountered a rare Sumatran spitting black cobra. This thing is one of the most deadly snakes in the world, and it can spit venom up to 30 feet. It’s also a snake for which there is no anti-venom so if you are bit you are on your own to fight off death. Wha-wha-we-wha!